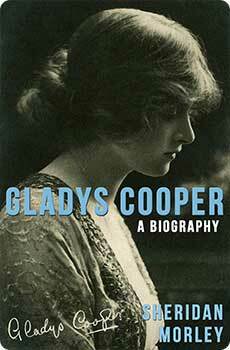 Two views of Gladys Cooper from among the countless vivid personal recollections of fellow actors and actresses, playwrights and directors which are a feature of this biography, the portrait of an extraordinary woman who started out as a Gaiety Girl and postcard beauty and ended up as a Dame of the British Empire. Her career spanned two World Wars and two continents (in 1939, with thirty-five years in the English theatre already behind her, she went to Hollywood with Hitchcock to make Rebecca and stayed on a long-term contract with MGM, to star in many other films). She was married three times, had three children, and lived life with an unfailing energy and courage. Sheridan Morley, the eldest of her five grandchildren, drew on his own deep knowledge of stage and screen to write this intimate and highly entertaining account of one the great British actresses of the twentieth century.